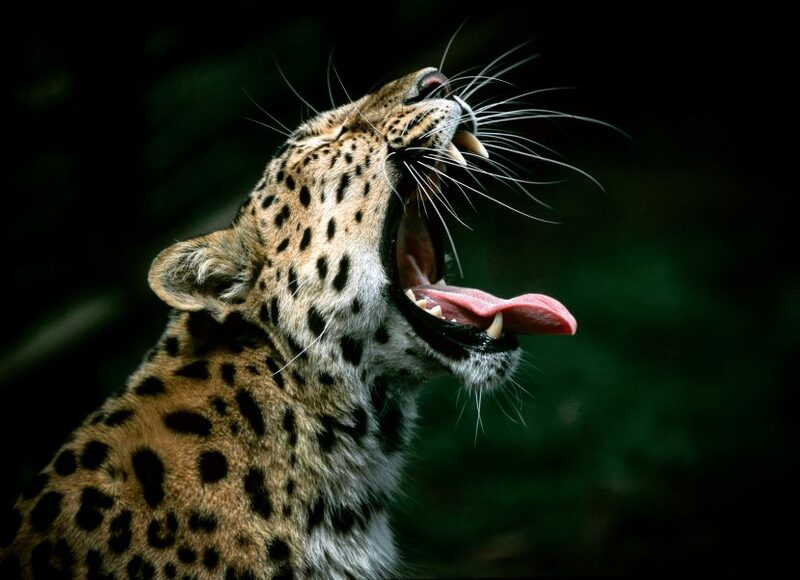 An endangered Amur Leopard showing off an impressive set of teeth. 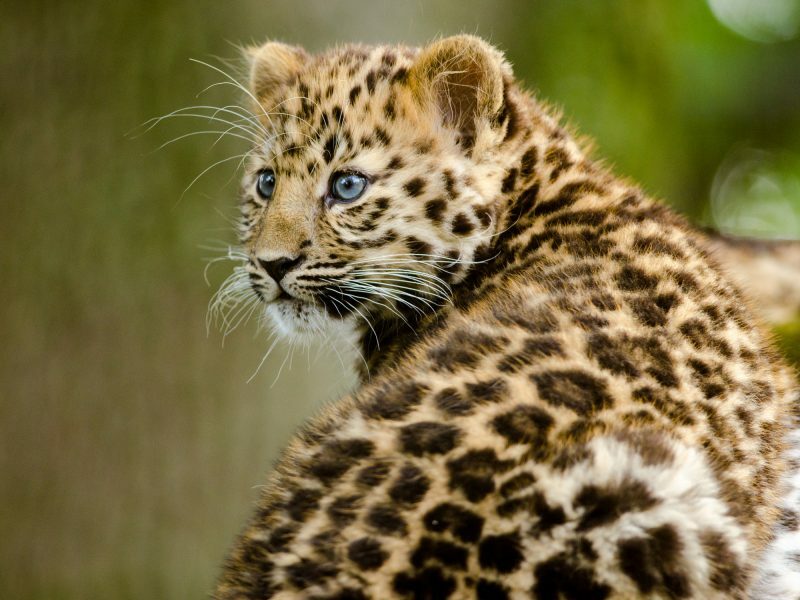 In the past few years, Amur leopards, sometimes called Siberian leopards, have been classed as an endangered species, with a population dipping to as low as 30. The animals mostly reside in Siberia, so both Russian and international scientists have been working to raise their numbers. National Geographic stated that the species faces a number of dangers posed by humans and the natural environment. The cubs often become prey for other animals, so adult leopards spend a lot of their time protecting their young. Humans living near Amur Leopards are often afraid of the big cats, and in order to reduce the perceived threat to their communities, they hunt and kill any within the vicinity of their living areas. Fortunately, protection efforts and the education of the humans who live around them are doing wonders for the population. 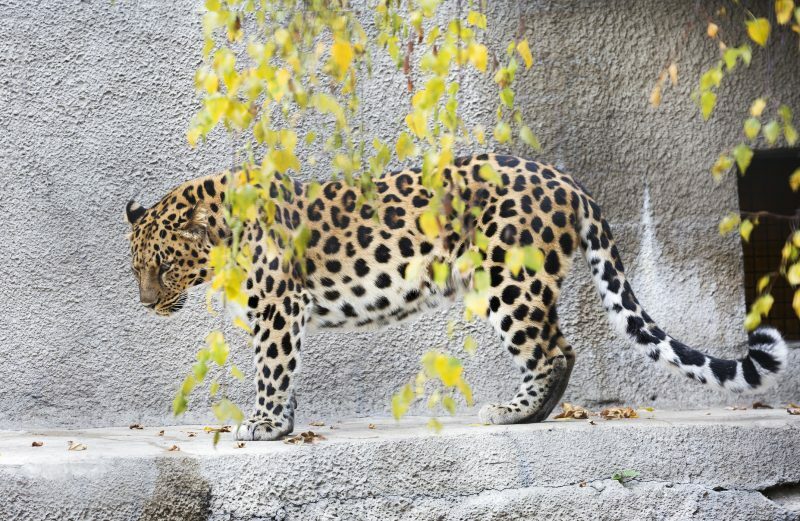 Recently, the Environmental Protection Tsar in Vladimir Putin’s administration announced that the Amur Leopard population has peaked above 100 once again, according to The Siberian Times. Cameras that automatically sense motion and take photos were set up in their known habitats. The over 400 photos that were taken allowed conservationists to work out population numbers. 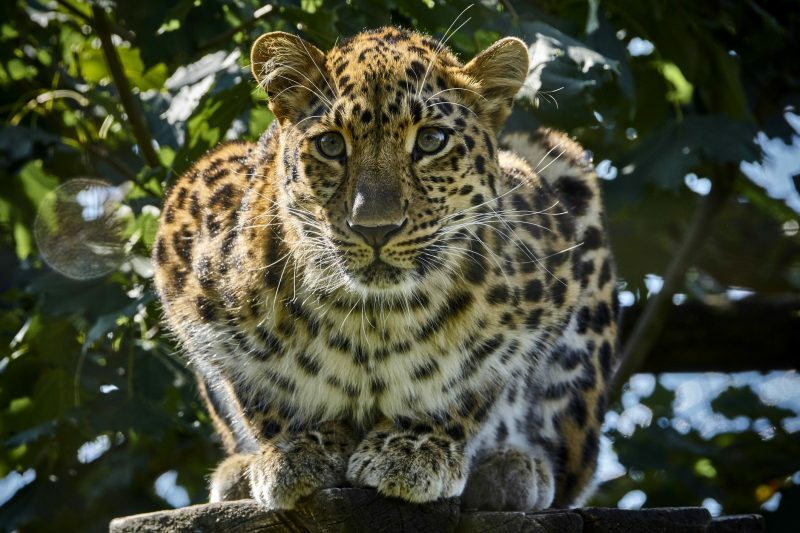 The World Wildlife Fund, which has dubbed the Amur leopard the “world’s rarest cat,” stated that the recovery was proof of what can happen when we protect the habitats of declining animal populations. This example can be used as a case study to learn how to help other big cats around the world. 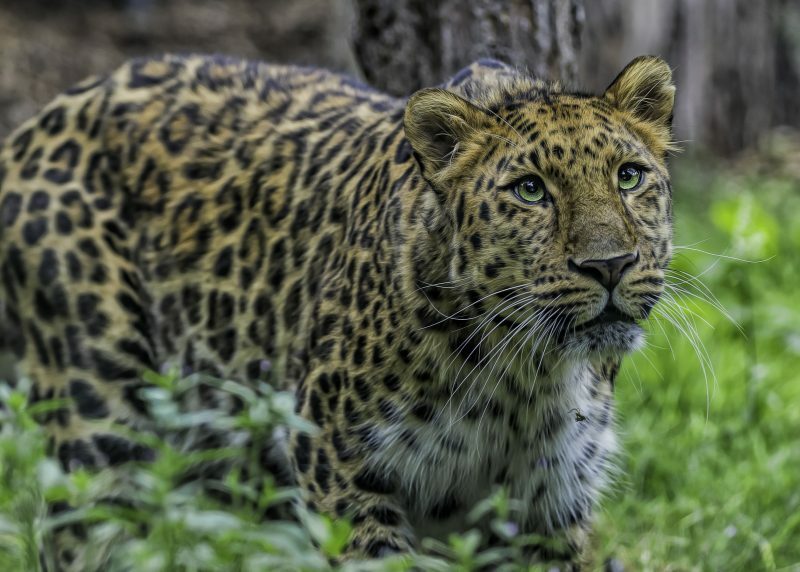 The transformation of the Amur leopard population has been nothing short of a miracle. Let’s look at the numbers. At the lowest level, there were only 30 living in the wild, although many more reside in zoos across the world. In April of this year, after about five years of hard work trying to raise the population, their numbers reached 84! It was a huge cause for celebration but pales in comparison to the new official total of 103. Their population is growing exponentially. No longer are there only adults trying to eke out an existence in the Siberian cold. There are now about a dozen cubs and some large adolescent cats. These help keep the population young and ensure its survival for years to come. One crucial aspect of the push for their survival has been the Land of the Leopard National Park in Russia. The designation has helped to protect the leopards’ environment and kept both human poachers and natural factors from affecting them. As the population grows, conservationists are planning to increase the area of the national park. They believe that there is room for it to grow south and that doing so will further help the animals to thrive within their natural habitat. Unprotected lands can be difficult for animals to survive, much less thrive, in. Human factors like poaching, capturing the animals, and pollution alter the population. 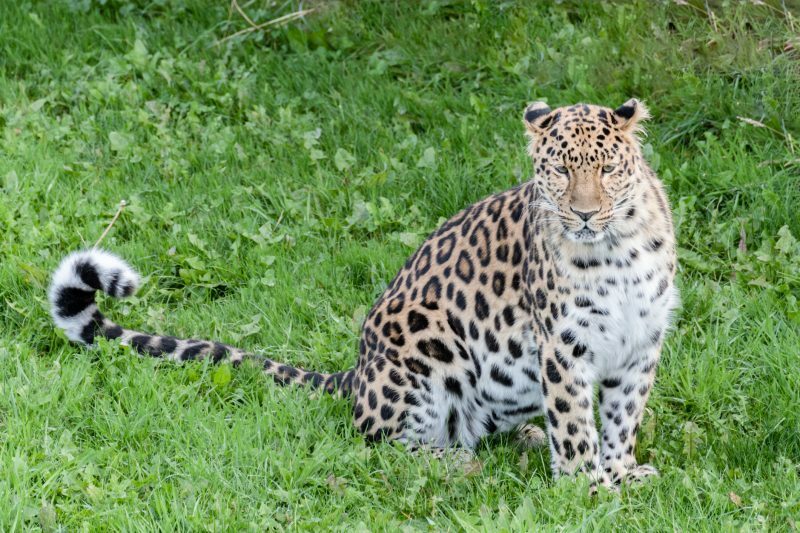 Mammals like the Amur leopard are used to adapting to natural alterations in their environment, but humans have brought big and sudden changes that are difficult to overcome. Clearly, having the protection of a national park has increased the chances of survival for this leopard and can do so for many other endangered species. While this was certainly a win for conservationists and environmentalists alike, there is a lot of work still to be done. The population is still at risk, and further steps must be taken to ensure that the Amur leopard thrives throughout its natural habitats in Russia and China. Hopefully, in the near future, the Amur leopard will no longer be remembered as the “world’s rarest cat.” Scientists are hoping they will be known less for this turbulent time in their existence and more for the incredible comeback that their population has now made.